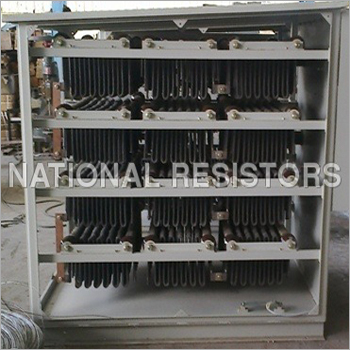 Neutral earthing resistor system is composed of stainless steel grid resistors, stand-off insulators, aluminum screen bottom, steel one-piece top, top ventilating screen, and optional current transformer. The neutral earthing resistor is designed to prevent the occurrence of damaging fault current and protect transformers, switchgear, generators and other equipment in distribution networks and industries. It can be employed in industries for medium and high voltage systems as well as medium voltage and high voltage electrical networks. National Resistors has 25 yearsâ experience in manufacturing and internationally selling neutral earthing resistors. The company has supplied ISO 9001:2008 certified resistors for many projects and also got performance certificates from many companies. Along with neutral earthing resistor, it also provides test reports and manual describing installation/maintenance instructions. By installing such systems, the owners can increase safety, and reduce maintenance cost. So, what are you waiting for? Contact us by calling us or sending an email to inquire about the neutral earthing resistors.